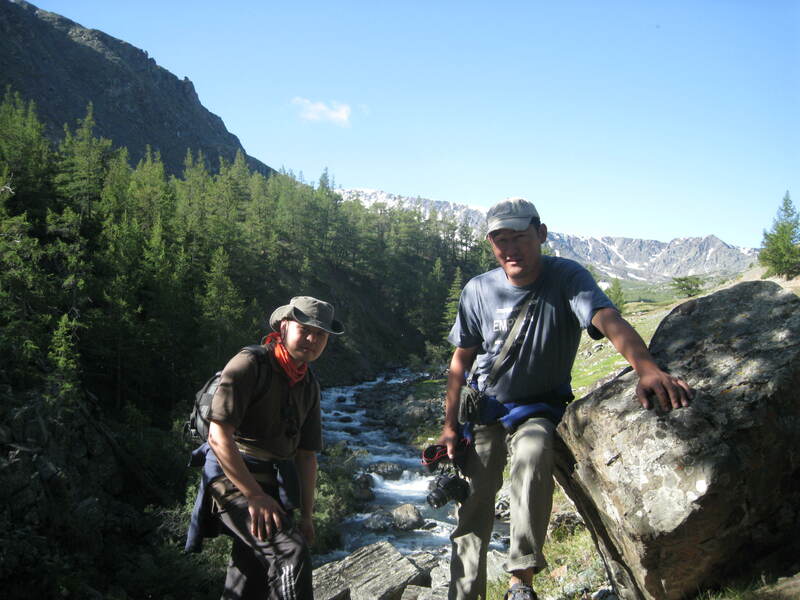 There is great hiking all over Bayan-Olgii with many tours travelling through Tavan-Bogd and Tsambagarav National Parks on foot. Walking allows visitors to take in the clean air and see the many points of interest inside the parks. The uneven terrain provides many opportunities to find hidden gems behind hills and valleys. You can also see wildlife that may not have noticed your approach. You could be totally self sufficient using only a fishing pole, a water purifier, compass and map. This allows you to be your own tour guide. For those that want to carry a lighter load, tour companies can have your camp and a meal waiting for you each day. A faster way to get across the vast distances is the always reliable horse. 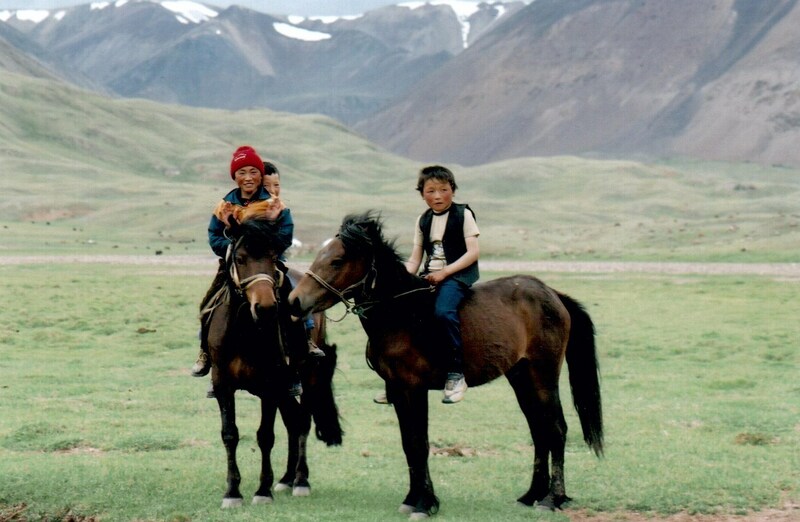 Mongolians use their short shaggy horses year round. Their short powerful legs, thick hair, and great stamina provided Chinngis Khan with a strategic advantage in the fast moving cavalry attacks that devastated much of Asia and Europe. Today these horses are still used by nomadic herders and for the 30 km races of Naadam. A leisurely stroll is a vacation for these workhorses of the steppe. Bactrian Camels can also be used. These large double-humped beasts offer a unique experience. 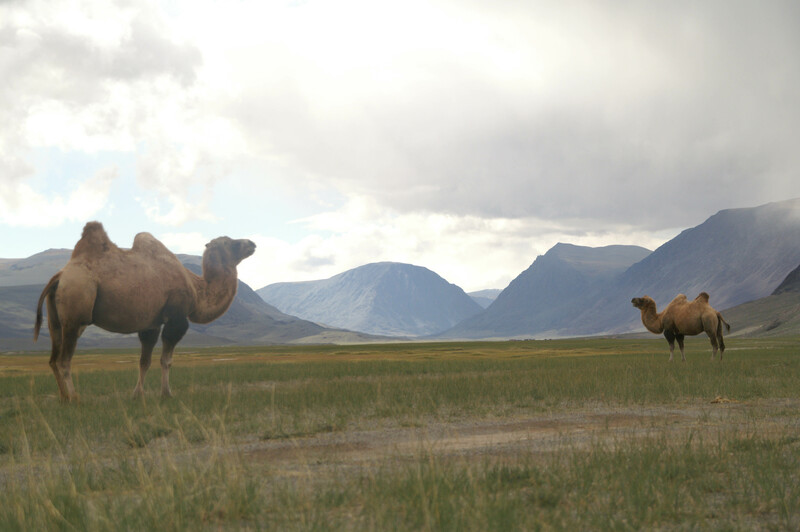 Camels have traditionally been used by nomads for heavy lifting when moving camp between seasons or transporting goods to market along the ancient Silk Road. The automobile has largely relegated them to livestock in desert areas, though there are still a few thousand in Bayan-Olgii. Usually they are only used as pack animals during tours, though riding is possible. 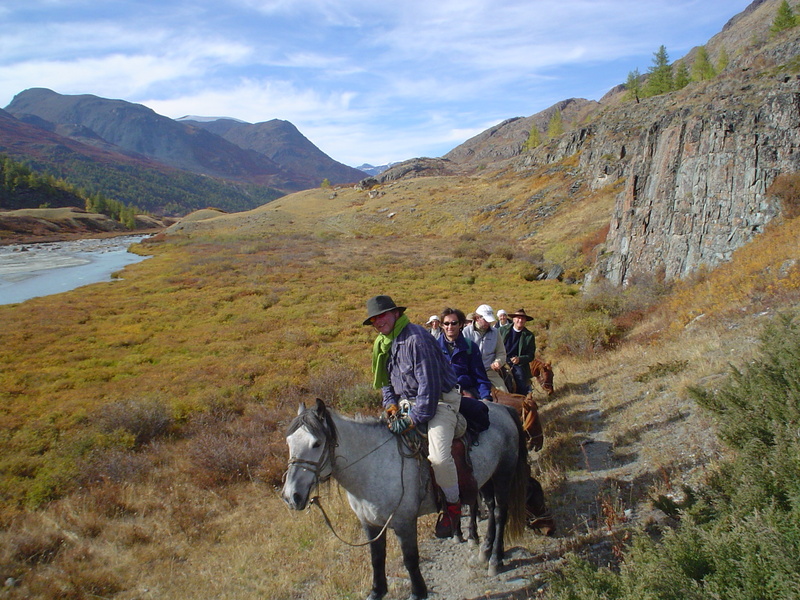 If you wish to combine the speed of the horse with some exercise, the Altai Mountains can provide a wonderful opportunity for those that like a challenge. 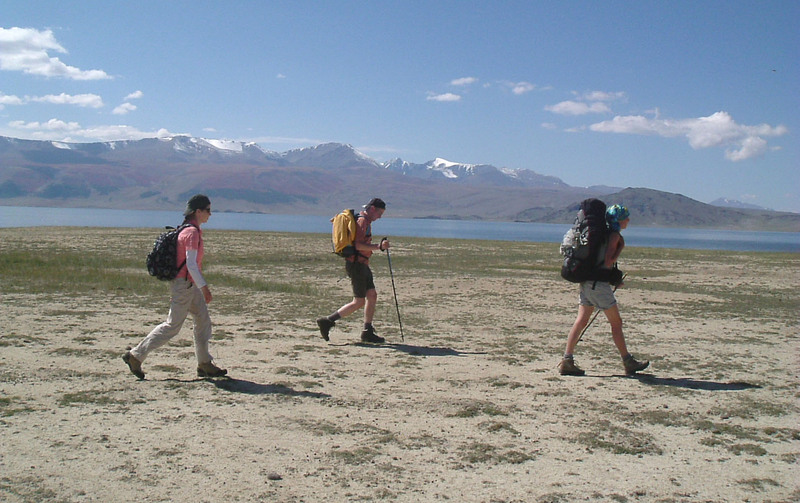 With elevations ranging from 1600 m to 4000 m, Bayan-Olgii is roughly the same altitude of Colorado. 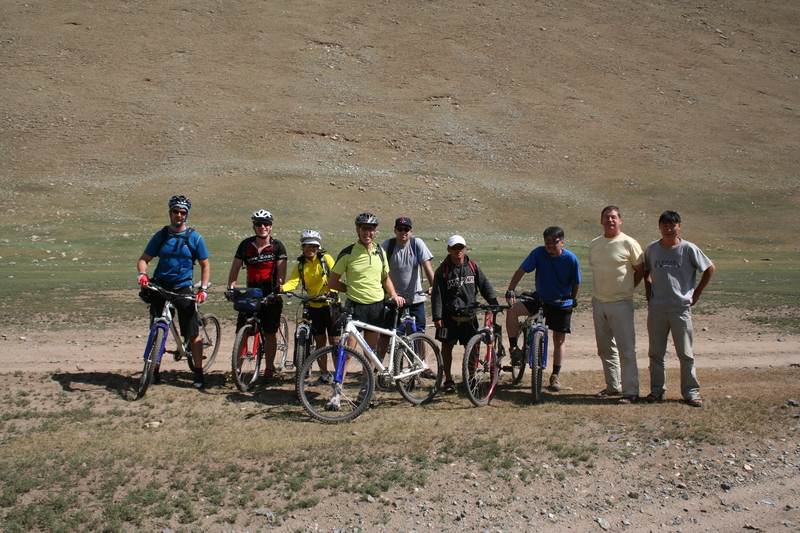 Altai Expeditions offers mountain bike rentals and tour packages throughout the summer, while Blue Wolf and Traveler’s Guesthouse have mountain bikes to rent in Olgii. Mountain bike tours are trail rides and do not require advanced skill, but you should be in great shape due to the high elevation and long climbs. Though Mongolia is in the process of paving the road connecting Olgii to the Russian Border crossing at Tsaagannuur (planned 2013 completion) and the Olgii to Ulaanbaatar road (planned 2015 completion) , the countryside remains wide open, and there is no requirement that says you have to drive on the road. Fences are rare with most of the country is open access grazing land. Even roads between the villages can be rough and bone jarring. 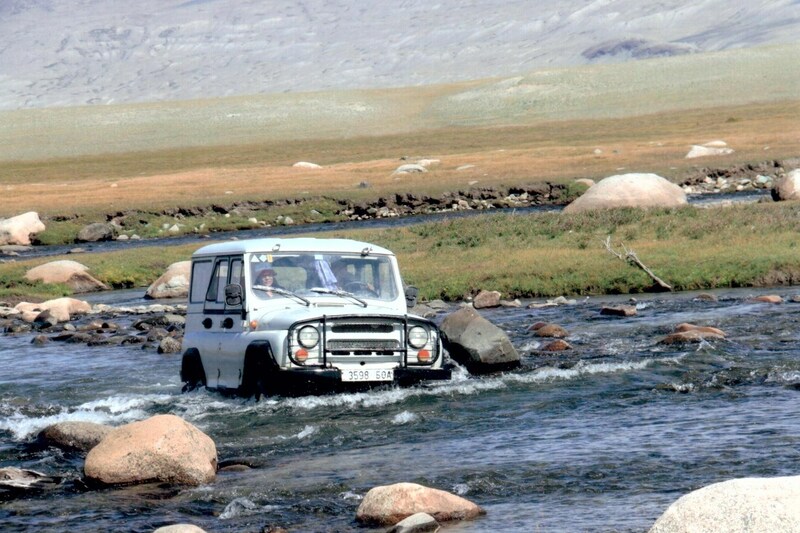 For that reason, most public transportation is in rugged Russian army jeeps (UAZ 469) designed in 1973. They substitute a padded roof for seatbelts and lack most modern conveniences that would just fail in the harsh conditions. On the bright side, it is said that simple Russian design allows the engine to be overhauled with only a hammer. The jeeps and its close relative, the Russian army vans, provide reliable transportation to the even the most remote areas. Smaller cars or 2 wheel drive vehicles should be avoided or driven very slowly on the main roads. Many of small cars used for the Mongol Rally breakdown on potholed and rocky roads as soon as they cross into Mongolia due mainly to excess speed.